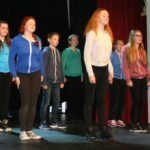 The ‘EX-Cite’ Project gave a group of 14 young people a week of drama, dance and singing workshops based at the Astor Theatre in Deal – with the resulting performances scheduled for a number of locations in the town and then, on the last day, ‘on Stage’ in the atmospheric setting of the theatre itself. 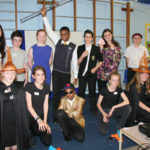 This CMMF Project saw a number of the residents of Thornage Hall, a Norfolk based Residential & Day Care Farm that works with people with special needs, being joined by a group of senior pupils from the nearby Aylsham High School, in staging a specially devised adaption of Shakespeare’s ‘Macbeth’at the 2014 Autumn Fayre opening of their ‘new’ Barn Theatre. 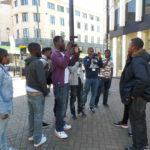 This project enable a group of young people to produce a film about how they see their lives – evolving from their own ideas, experiences and wish to have their voices heard in the aftermath of the disturbances that took place in their town – and, in particular, the more recent and tragic death of one of their friendship group.